Fancy outfits & explosions. The new poster for Robert Zemeckis’ Allied has arrived. 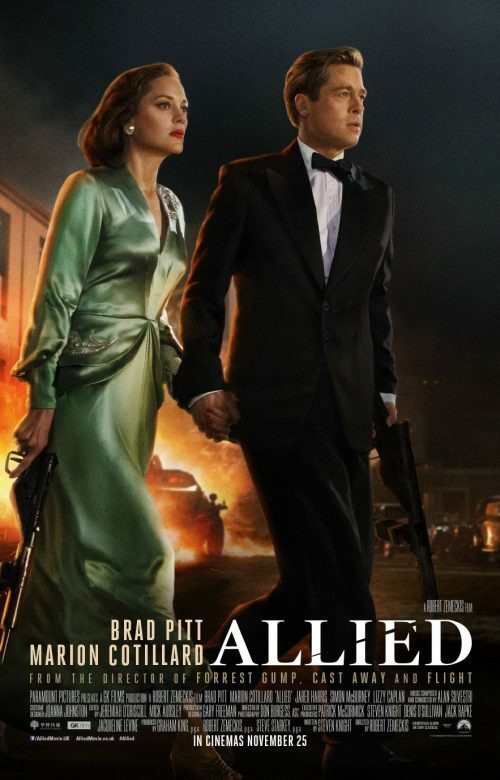 ALLIED is the story of intelligence officer Max Vatan, who in 1942 North Africa encounters French Resistance fighter Marianne Beausejour on a deadly mission behind enemy lines. Reunited in London, their relationship is threatened by the extreme pressures of the war.